Happy Holidays to all my regular readers! Wishing you, your family and friends the best over the holidays. A Coffield family tradition is painting Christmas cookies each year. It all started with an incredible women and family neighbor, Mrs. Martin, who lived into her 100s. Mrs. Martin collected cookie cutters (and I mean collected). Most draws in her kitchen were full of cookie cutters from around the world. Each year she would invite all the neighbor kids into her house to paint cookies with brushes and decorate them with what now seems like hundreds of toppings. A wonderful childhood experience. Watching it now with my own children and others who happen to stumble into the event is the way it brings out the creativity of people. Below are a few photos of this years artwork. Yesterday the West Virginia Health Care Authority issued an Order Dissolving Stay. The Order granted MCHCR's (Carlyle Group) Motion to Dissolve Stay but denied the Motion to Affirm the Initial CON Decision. The Authority set January 7 as the date for initial briefs to be submitted by both parties as a result of the Reconsideration Hearing held on December 14. The last week has been tough for all West Virginians with the untimely departure of Rich Rodriguez for what he believes is greener grass in Michigan. Today I got the email below from my partner and friend, Chris Brumley, loyal Mountaineer Fan and all around good guy. He is heading up a grassroots effort to allow all Mountaineer Fans to show their support for the players and the program and do something great for kids in the Glendale, Arizona area. UPDATE: Chris has made arrangements with the Boys & Girls Clubs of Metropolitan Phoenix who are planning a field trip to the game. The WVU Athletic Department has agreed to allow a purchase of block seats so the kids can sit together. Also, in the works are gold t-shirts to be donated. Think back to the first time you got to go to (old or new) Mountaineer Stadium and watch the Mountaineers. Think about giving that experience away to a kid in Arizona. 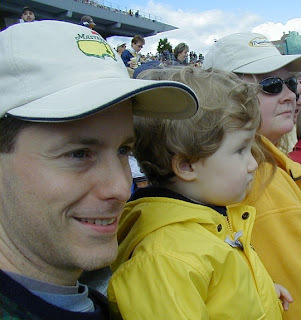 Photo to the right is my son's first trip to watch the Mountaineers in 2003. Good luck to the Mountaineer players and remaining coaches (Bill Stewart, who hails from my hometown of New Martinsville has admirably stepped in to lead the Mountaineers). After reading the message below if you are interested in supporting the effort by buying a ticket please notify me at RCoffield@fsblaw.com or Chris via email at CBrumley@fsblaw.com. Send your check written to: Chris Brumley, 200 Capitol Street, Charleston, WV 25338. Deadline to notify via email is December 27. Chris has arranged with Boys & Girls Club to get an acknowledgment letter and will do a follow up donor letter to each donor to acknowledge their donation for tax purposes. 12/27 @ 12 noon (final count): 128 tickets have been donated to the Phoenix Metropolitan Boys and Girls Club, with Gold T-Shirts to match. The donation is equivalent to a cash donation of more than $17,500.00. Way to go WVU fans! This email is an invitation. It is inspired by a friend of mine, Paul White, who every year at this time takes the opportunity, and dedicates his time, to benefiting others during the holiday season by coordinating a donation effort to the less fortunate. This is also a solicitation and it is not intended to distract from Paul’s charitable efforts whatsoever, and if you are not interested please do not rely as I sent this out to most every email address I have!!!! As I have watched the last week unfold, and our football program and State take a severe hit with the Rich Rod/WVU debacle, I almost forgot about the players and the program that are most affected by all the turmoil. Obviously, these negative events have taken away from the successes of this season, the program, and the enjoyment of a BCS bowl game. With that said, it is not too late. While I doubt anyone is going to travel to the Fiesta Bowl that was not planning to before these events, we can still provide the support that WVU fans have become so renown for, and do something good for the less fortunate. 2. I will fund the purchase and collect the $ from each person individually. 3. We will donate the tickets we purchase to boy/girls clubs or other worthy charities in the area so they can attend the game. (I have family there that can identify charities, but anyone that knows of a worthy charitable group please suggest). 4. I will follow up with a letter to each person noting their purchase and subsequent donation to the charity by letter. This is the best way I can think of to support this team, WVU, and the less fortunate during the Holiday Season, all in one act. So if you choose to, email me back and I will out the coordination into this effort. Please do not reply to this unless you are in since I sent it to most everyone on my email list and my blackberry cannot take the traffic. Also, feel free to fw this to anyone you think may be interested. Lets Bring on the Mountaineers!!!!!! In yesterday's Charleston Daily Mail, Steve Roberts, president of the West Virginia Chamber of Commerce, was quoted as calling for a statewide electronic health record system to reduce health care costs and increase the value of care. The full article, Chamber of Commerce promotes electronic record-keeping, can be read via the Charleston Daily Mail. For more information on the State Chamber's position check out the Chamber's 2008 Policy Paper on Health Information Technology. Matthew Holt of The Health Care Blog sent me a message that they are close to announcing the agenda for the March 2008 Health 2.0 Spring Fling in San Diego. In preparation for the conference the planners are out seeking real life examples of Health 2.0 technologies in action. Below is Matthew's summary of the panel format and information on how you can participate or help to locate someone using health 2.0 type technology to improve the every day care of their patients. I plan to submit some suggestions of a couple of West Virginia providers for the Health 2.0 team to check out. If you know of someone who might fit the mold for connecting consumers to providers -- please leave a comment or send an email directly to John at the email listed below. We are excited to announce a new panel format at our Spring Health 2.0 conference, "Connecting Consumers and Providers" in San Diego on March 3-4, 2008. In addition to spotlighting demos and reactions from industry experts, we will be capturing the user-experience of people living with health conditions as they use Health 2.0 technologies in their everyday lives. Has the web changed your life? Does it help you deal with the isolation of a condition or improve your quality of life in some other way? We are looking for a few good consumers/patients to feature live on stage or in a video segment. Our roving video crew will be traveling the country to document interesting real-life stories showing how Health 2.0 impacts both people and the health care system. And for those of you budding videographers, we are also accepting user-generated video clips that show how you are using Health 2.0 technologies in your daily life. Maybe it's an active online community where you've found support, a portable medical device, an online tracking tool, a blog, a video game, a virtual world, or some combination of the above. If you have something to say, we'd love to hear about it so we can help you share your stories with your peers and other members of the Health 2.0 community. We welcome you to join the conversation with some of the most progressive minds in health care including consumers, health providers, technologists and entrepreneurs. If you are a physician using health 2.0 technologies to connect with your patients or if you know of patients for whom technology has made a real difference, please drop us a line. Email John our resident Health 2.0 web guru/talent scout at john@health2con.com. Check out the final 2007 edition of Health Wonk Review, a round up of the best health policy blog posts, hosted by fellow health law blogger, David Harlow at HealthBlawg. Check out the Health Wonk Review blog for more information on how to be a host. Physician Liability: Was Accident Foreseeable By Treating Physician? A colleague pointed out this WSJ Law Blog post via the WSJ Health Blog reporting on a ruling made by the Massachusetts's Supreme Judicial Court. The ruling found a physician liable for failing to warn his patient about the side effects of the medications and the potential danger of driving while taking them. The Boston Globe reports on the case and a copy of the slip opinion in the decision of Lyn-Ann Coombes, administratix v. Roland J. Florio, SJC-09869 December 10, 2007 can be found on the Supreme Judicial Court of Massachusetts decision website. Although I have not had a chance to read the full opinion, the legal question that comes to mind (and which depends upon the facts in each case) is whether it was foreseeable by the physician that the patient (tortfeasor driver) was likely to have an accident? Remember Palsgraff? Was a duty owed and how broad should that duty be? The blog post indicates that Justice Cordy's dissent states that the ruling "introduces a new audience to which the physician must attend -- everyone who might come in contact with the patient." HealthBlog by Bill Crounse, MD, a new (at least to me) health care IT blog to follow. Dr. Crounse is the Worldwide Health Director for Microsoft. I've added HealthBlog to my RSS reader and look forward to the great green content being generated by Dr. Crounse. I picked up a reference to HealthBlog via a post by Jay Parkinson, MD giving his impression of the opening keynote address and morning session at the World Healthcare Innovation and IT Congress in Washington, D.C. (Dr. Crounse's comments include a summary of Kevin Kelly's keynote on mega trends: Global, You, Do and Open). Dr. David Kibbee provides great insight on the meeting by the Markle Foundation and what it might mean for Health 2.0, consumer driven health care and how health data is managed by traditional health care providers and payors. Well worth the read for anyone interested in where health information might be headed. Markle has lifted the discussion onto another level, and this time it's about health data, its ownership and rules of access, and its uses in our nation to promote health and wellness. We are in the midst of a wave of change in the ownership rights of health information and data. Traditionally (and legally) we have viewed health data as owned/controlled by one group or another (what Dr. Kibbee refers to as the institutional custodians). For example, physician/hospital who owns the patient's paper medical record or insurer who own beneficiaries payment/claims information. Typical state law support such ownership notions. Most state laws provide you and I as patients the right to copy our records. Some states go as far as providing you and I a right of access. However, to my knowledge no state law takes the alternative approach of the patient owning the records and providing access rights. Most state laws, if not all, base the ownership right on the originator or creator of the medical record. Even the HIPAA privacy rule that evolved to its present state in the late 1990s and early 2000s speaks in terms of a patient's "right to copy" and "right access to records". At no point does it speak of patient's ownership of the records. Our legal system have very strong views on "ownership" rights. In fact ownership is a basis legal premise build into the fabric of everything we do. With ownership comes notions of control, propriety nature, privacy, competition and power (financially and otherwise). I subscribe that this foundation has largely been the reason we have yet to see integration, standardization and openness of health data exchange. Dr. Kibbee gets at this question in his post when he discusses the spirited debate during the Markle conference surrounding the question of how to "liberate" personal health information. Dr. Kibbee also gets into the difficult questions that I am constantly struggling with regarding privacy (how much is too much and how much is not enough) and introduces the concept of "fair information practices". Balance between a patient/consumers right to control access to health information, need for access by health care professionals, reasonable protections to prohibit the breach of data, rights of governments to access/use data for particular purposes, etc. In reacting to Dr. Kibbee's worries that physicians are not embracing the change -- I suspect this is largely due to the current reimbursement system that we have created to pay for health care. My view is that until this reimbursement model changes to create financial incentives for wellness and management of chronic disease it will be difficult to bring about change via the physicians. These are my initial reactions (stream of consciousness) after having read Dr. Kibbee's very insightful and thought provoking post. I hope to have a chance to come back and think some more about his post and my reaction. Last week's Sunday Gazette-Mail featured an article, Blogging for Dollars: talky web journals keep customers in the loop, providing insight into some local business bloggers. I want to thank the reporter, Sarah Winn, for contacting me and allowing me the opportunity to be interviewed for the article. It was nice to be featured along with these great blogs. The draw back of such an article is that you can't cover all the great West Virginia blogs that are available. For more check out the follow up comments by Skip Lineberg at Maple Creative and Paul at Direct Online Marketing. As a result of Justin Seibert's comment to this post I thought I would share a link to a resource over at This is not my blog that includes a good comprehensive list of West Virginia blogs (over 200). He also cites the blog roll at Lincoln Walks at Midnight as also having a comprehensive list of West Virginia blogs. Photo: Marketing and public-relations professionals Skip Lineberg of Maple Creative LLC and Jason Keeling of Keeling Strategic Communications LLC discuss blogging at the recent Create WV conference at Stonewall Resort. Each writes a blog and says his online journal has become a business tool. Eric Eyre reports in today's Sunday Gazette-Mail that Governor Manchin has rejected the proposed new Certificate of Need CT Standards approved by the West Virginia Health Care Authority last month. The article indicates Governor Manchin sent a letter to the Authority's Board on Friday, December 7, asking that they re-examine the imaging equipment proposal and submit a revised plan. The article also indicates that Governor Manchin rejected the proposed new standards on the basis that the standards did not require physicians to accept low income patients. For more background on the proposed new standards see my previous posts - here and here. UPDATE (12/10/07): Governor Manchin's December 7, 2007 letter to the WVHCA. UPDATE (1/26/08): On January 18, 2008, Governor Manchin approved the Authority's revisions to the Certificate of Need Computed Tomography Services Standards. The State Journal provides background on the pending reconsideration hearing set for December 14, 2007 (9am), before the the West Virginia Health Care Authority regarding the Authority's granting of a certificate of need for the $6.3 billion buyout of HCR Manor Care by The Carlyle Group, a private global investment firm. The Authority granted HCR Manor Care a certificate of need on October 19, 2007, however, on November 15 the Service Employees International Union Local 1199 filed a Request for Reconsideration with the Authority along with an Appeal to the Office of Judges. On November 20, the Authority issued its Decision on Request for Reconsideration granting the reconsideration and ordering a stay of its October 19, 2007 decision pending resolution of the request for reconsideration. the Amended Notice of Administrative Hearing set for December 14. Thanks to Jeff for the link and for uploading some of the key public documents in this pending certificate of need matter. Revolution Health Expanding . . .
iHealthBeat reports via the Washington Post that Revolution Health is expanding its online health business by acquiring HealthTalk, a site focused on chronic conditions, and an investment in SparklePeople, a web site offering diet/exercise advice and ideas.
. . . We are building a platform that reaches the largest possible audience, and in the process want to build the largest health brand from a consumer standpoint," said Revolution founder Steve Case. "Consumerism is going to become a driver in health care, which represents $2 trillion, or one-sixth of the economy. That segment is ripe for disruption, and the key disrupting force is consumers . . .
Based on October data compiled by comScore, an Internet market research firm, Revolution Health drew 105 million page views, while SparkPeople had 84 million and HealthTalk had 8 million, for a total of 197 million, Revolution Health spokesperson Brad Burns said. Give One Get One: Tech It Forward . . . I like the concept behind the movie, Pay It Forward. Why not "Tech It Forward." Looking for a unique holiday gift? 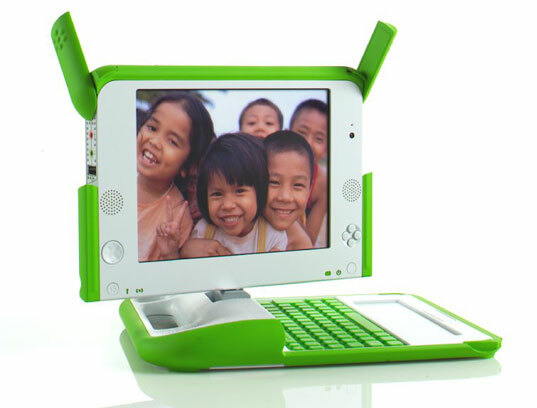 Why not buy and give an XO Laptop through the Give One Get One program. Take a moment and think about how much you use your computer and the power it gives you to work, learn, think, communicate and so on . . . The computer and concept of getting compters in the hands of children around the world is the brainchild of Professor Nicholas Negroponte of MIT. You have options: giving one or more ($200 each one tax-deductible), give 1 and get 1 (still get the tax deduction for 1/2 the price) or give many and designate where they go in the world. For more information about the program and a review of the XO Laptop check out this NYT article, Laptop With a Mission Widens Its Audience. UPDATE: Denise Howell has similar holiday thoughts for a tech stocking stuffer with a link to the tech uproar on This Week in Tech.